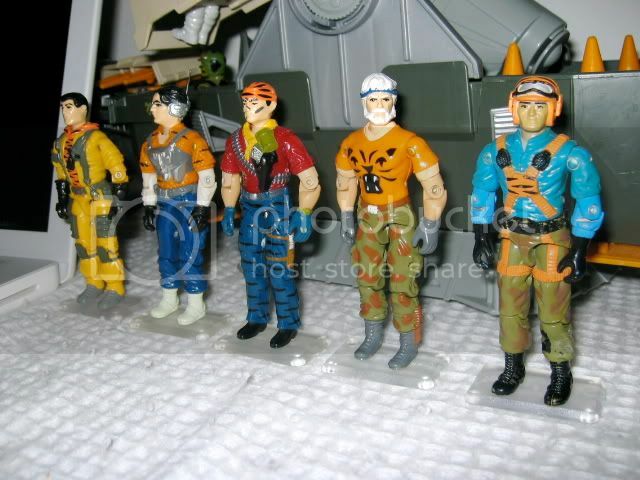 Tiger Force Euro- BLOOD FOR THE BARON!!! Have has anyone else noticed the price for these figures is gone mad. A blizzard helmet went for over 100e not too long ago and last week a complete Blizzard went for $250. If the prices keep like this i might have to sell a few. Yes indeed. I nearly spat out my Vimto when I saw that! That pesky tunnel rat still eludes me!! Can't see what all the fuss is about myself, O.K. so they're rare...but (for the Euro exclusives) colour wise Outback's the only one that really gels together & looks superior to the normal release, the rest looking too garish & toy like for my taste. Thundershot wrote: :-? Can't see what all the fuss is about myself, O.K. so they're rare...but (for the Euro exclusives) colour wise Outback's the only one that really gels together & looks superior to the normal release, the rest looking too garish & toy like for my taste. It was designed for kids after all I remember thinking how awesome they were, as an adult I find them a bit unusual, but they're still cool. i agree, as a kid i thought TF was awesome and i still love my TF Duke. but like i said, as a jungle team, it's a bit odd what tehy did.